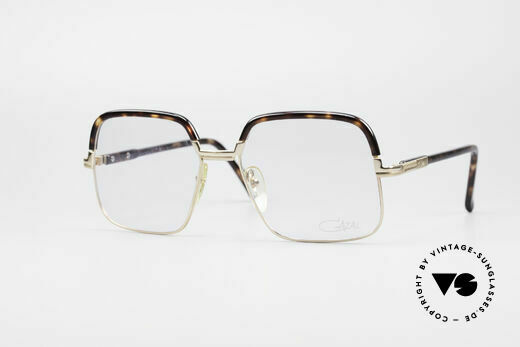 Cazal vintage glasses from the old 700 series are relatively easy to recognize, because they almost always involve a men’s frame made of metal. In addition to the 100 series (women’s plastic glasses), the 200 series (women’s metal glasses), the 300 series (unisex combination glasses) and the 600 series (men’s acetate glasses), the 700 series (men’s metal glasses) rounded off the Cazal range of 80s and 90s glasses. 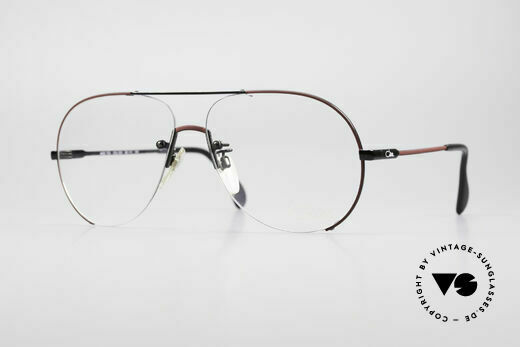 The 800 and 900 series did not belong to the normal eyewear collection, but contained exclusively designer sunglasses by Cari Zalloni (Mr. CAZAL). 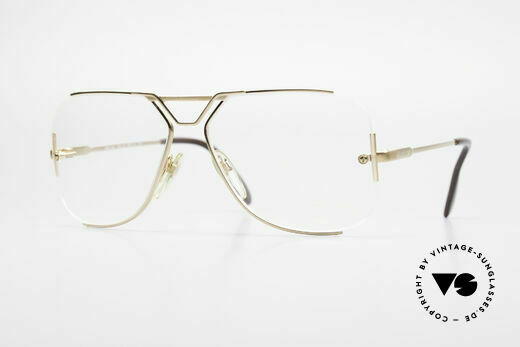 Although the 80’s vintage Cazal 735 is the most famous model of the 700 series (Brad Pitt wore the old 80s model in 2009), Cari Zalloni told us in a personal conversation in March 2012 that he is particularly proud of another model of the 700 series: the Cazal 728. 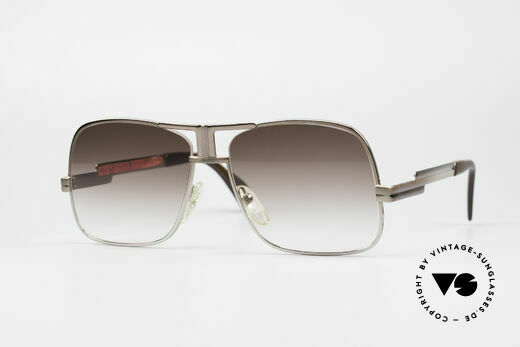 The 728 was Cari Zalloni’s answer to the then dominant Ray-Ban Aviator glasses. Cari succeeded in turning the shape of everyday pilot glasses into a designer piece. And in a completely independent way. “I had to create something that was not oriented to anything, but fits the time” were his words. If you compare vintage Cazal 728 glasses with old Ray-Ban Aviator glasses today, you have to admit that he really succeeded. We wouldn’t have thought that the design of the classic Cazal 728 glasses was based on the Ray-Ban Aviator if Cari hadn’t told us it himself.